If there’s one thing that carried over from my childhood, it’s Sunday breakfasts. 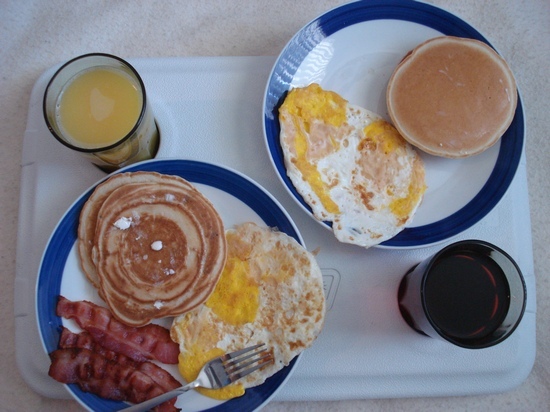 Back then, my oldest brother made eggs to each of our liking, and I made pancakes. Sometimes I changed it up with French toast. Now that I’m a full-fledged adult, I sleep-in on Sundays. Cooking for myself is borrrring, plus I don’t necessarily need breakfast and lunch. However, when there’s someone special in my life, I make it a point to whip up pancakes on Sundays. 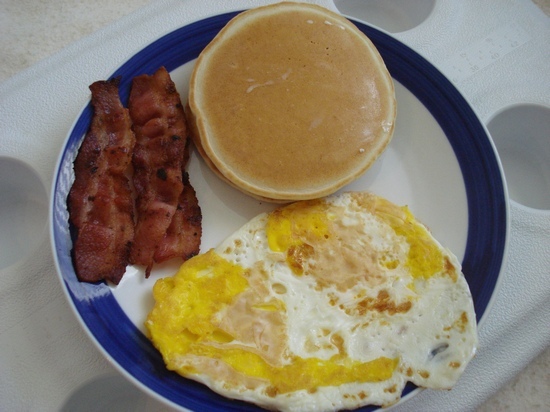 In fact, when things settled down a bit (not even 2 weeks after I moved-in, we’re making our way back from a road trip to San Diego), I declared to Chip that Sundays were officially “Pancake Sundays”. With the hustle and bustle during the weekdays, Sunday Brunch is a wonderful way to start the week off right. 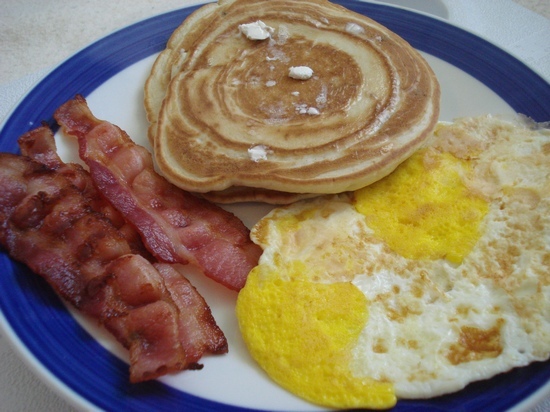 Up until this past weekend, we usually feasted on pancakes and eggs. 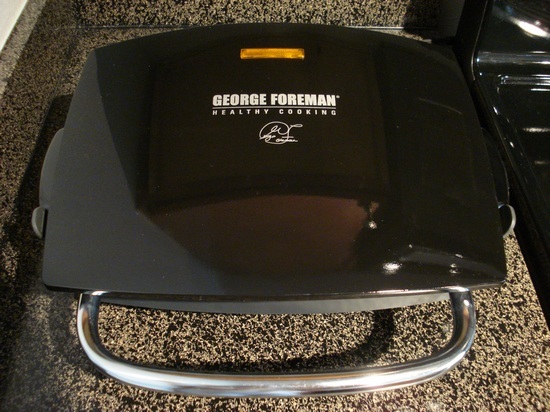 Thanks to this handy-dandy appliance…. Oooh, that reminds me, our table is out of commission at the moment. 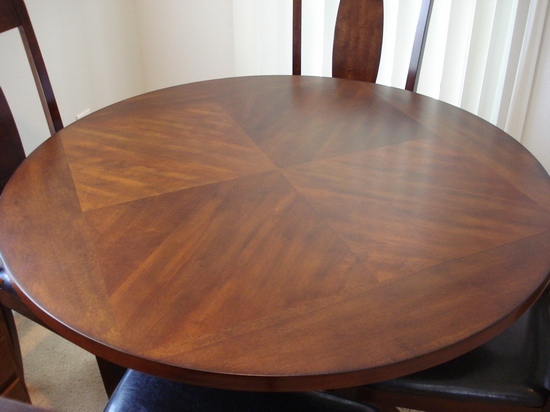 Chip’s been adding a polyurethane finish and letting it dry days at a time between coats. Stay tuned for some of my household items fresh out of storage, followed by Starbucks pastries….or the other way around. Looking for the Breakfast of Champions?